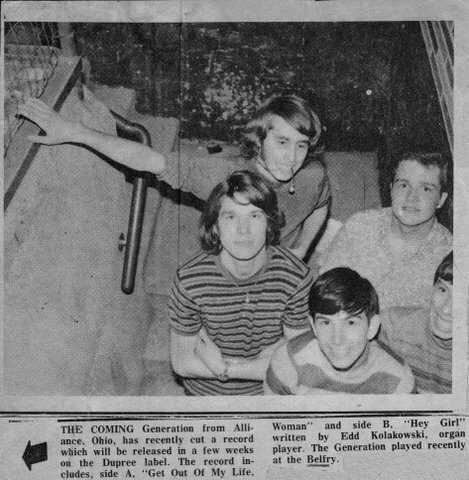 When the Comin' Generation rolled in, their admiring fans knew they were in for some wild, intense psychedelic garage rock-n-roll! A bit too extreme for the typical high school dances, they had their biggest draws at college towns like Kent, Kenyon, and Ravenna. They recorded and released their lone 45 in the summer of 1967 (one 4-5 hour session at Akron Recording), coupling "Get Out of My Life Woman" and the killer original "Hey Girl" - featuring the immortal line "When I die they'll bury me in your front yard!". 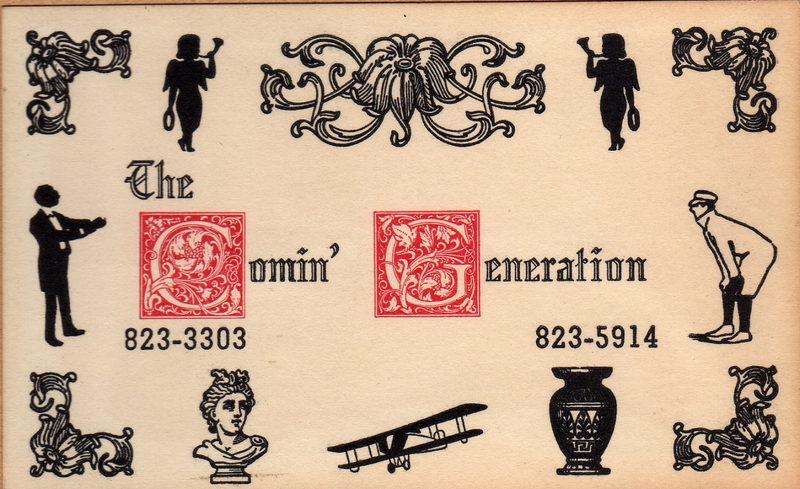 The original Comin' Generation included Edd Kolakowski (keyboards), Bob Webb (guitar), Steve Truxell (bass), Randy Byron (guitar), and Rich Bowman (drums). 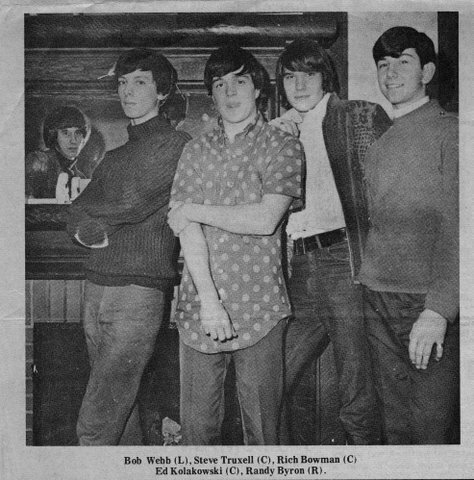 Randy and Rich left in the fall of '67 and Dennis Beery (formerly of Johnny's Uncalled Four) joined on drums. This was the best and most musically adventurous version of the band. 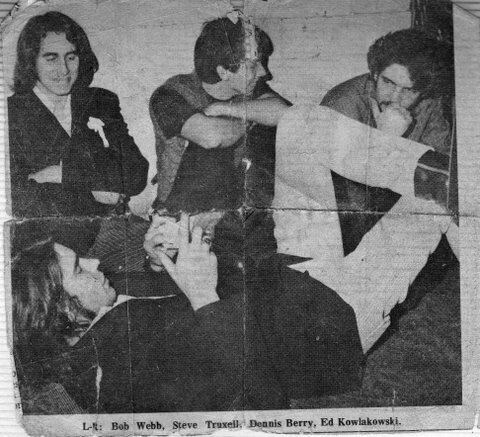 The group broke up in the summer of '68, with Bob Webb joining the Measles and Edd Kolakowski joining Mad River (a Youngstown band, not the Yellow Springs one).